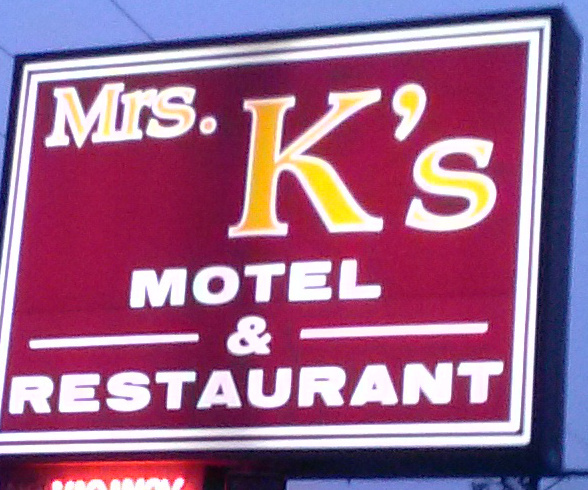 Mrs K's Motel and Restaurant – "The Best Kept Secret In Maryland"
"The Best Kept Secret In Maryland"
My name is Ms. B and I would like to invite everyone traveling along Route 301 North and South in Upper Marlboro, MD to stop in and be our guest. We are right next to the CSX train tracks and accessible from the north and south side of Route 301. My staff and I take pleasure in serving guests a great breakfast all day, tasty Greek food to include gyros, and some finger lick’in good Soul Food. All our food is cooked to order so don’t expect “fast food” or food fast. Do expect it to be food worth waiting for within a reasonable time. While waiting for your food, we hope you and your guests will enjoy watching one of our two TV’s. We also proudly feature the Prince George’s Gazette and other local Maryland papers as well as the Washington Post for our guests. We do provide FREE Wi-Fi for our tech gadgeteers and entrepreneurial disrupters. Create as many apps as you want while eating our mouthwatering blueberry pancakes and drinking a pot of our finest coffee.